Speed is relevant. Now days you get impatient when your email takes forever to download. Imagine what it was like waiting for your tea to arrive from Asia. 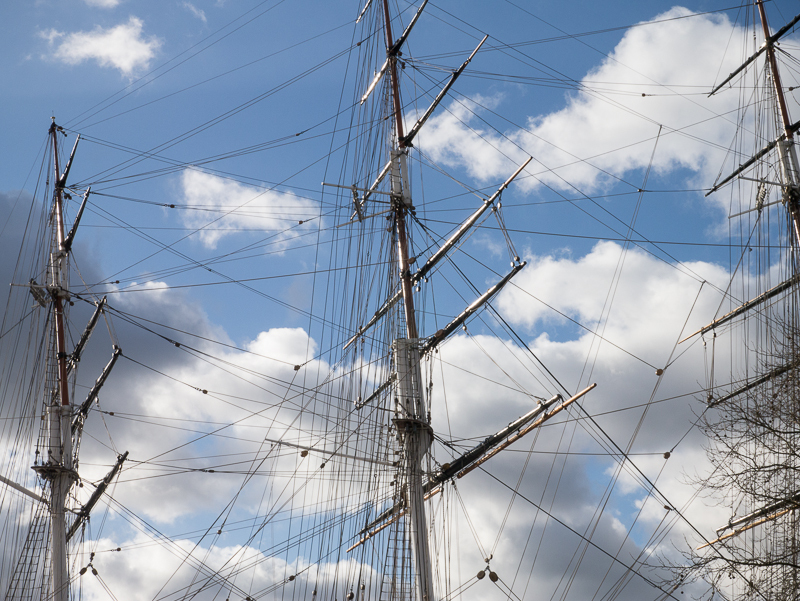 The Cutty Sark was the speedy version, a bit like broadband as opposed to dial up in today's language. A good picture. Very difficult to capture a ship of such size. 'Cutty Sark' is of course a rough Glasgow whisky! I am determined that this summer I will get to the ship and to the Greenwich maritime museum. Can you imagine climbing up those masts to take down the sails in a sudden gale? They may have been slow compared to today's options, but I'd take one of these any day over a cruise ship. These are seaworthy, for starters.